Learn facts about Louisiana, which includes geography, parishes, population, cities, history, and much more. Originally colonized by the French during the 18th century, Louisiana became U.S. territory as part of the historic Louisiana Purchase in 1803, and was admitted to the union in 1812. Louisiana’s capital city is Baton Rouge. It is also home to the historic port city New Orleans, which is famous for its unique cuisine, jazz, and spectacular Mardi Gras festival. This is probably information you already know, but do you know the rest. Adventure on to learn more about the wonderful state of Louisiana. The Battle of New Orleans, which made Andrew Jackson a national hero, was fought two weeks after the War of 1812 had ended and more than a month before the news of the war's end had reached Louisiana. 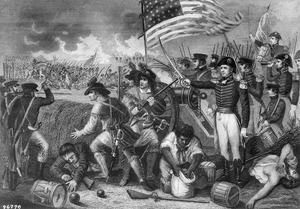 The Battle of New Orleans was fought on January 8, 1815 and was the final major battle of the War of 1812. American forces, commanded by Major General Andrew Jackson, prevented an invading British Army, commanded by General Edward Pakenham, from seizing New Orleans and the vast territory the United States had acquired with the Louisiana Purchase. While the Treaty of Ghent had been signed on December 24, 1814, hostilities would continue until mid-February when official dispatches announcing the peace reached the combatants, finally putting an end to the War of 1812. 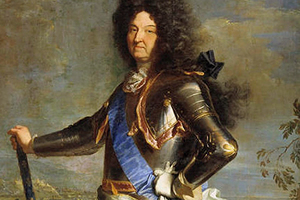 Louisiana was named in honor of King Louis XIV. Louisiana was named after Louis XIV, King of France from 1643 to 1715. 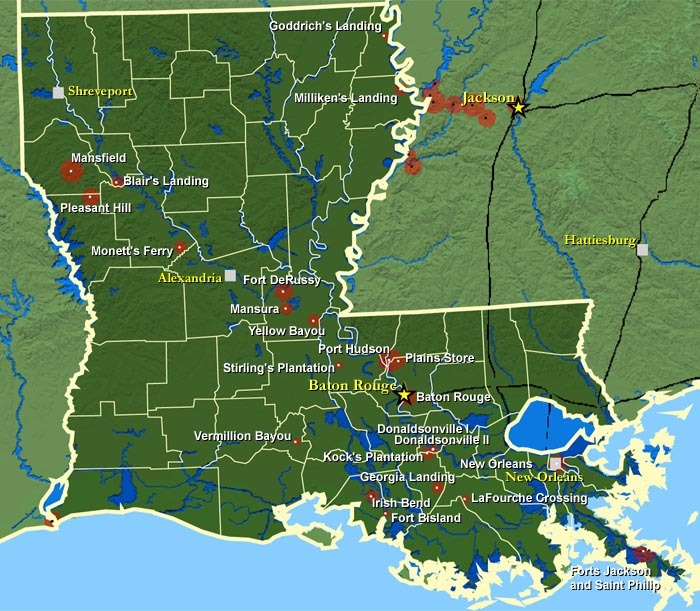 When René-Robert Cavelier, Sieur de La Salle claimed the territory drained by the Mississippi River for France, he named it La Louisiane, meaning "Land of Louis". Once part of the French Colonial Empire, the Louisiana Territory stretched from present-day Mobile Bay to just north of the present-day Canadian border, and included a small part of what is now southwestern Canada. 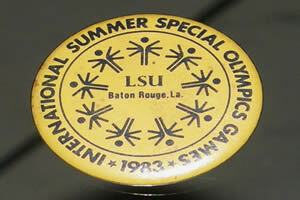 Baton Rouge hosted the 1983 Special Olympics International Summer Games at LSU. The sixth Special Olympics Summer World Games were held in Baton Rouge, Louisiana, on the campus of Louisiana State University from July 12–18, 1983. Events included athletics, Softball Throw and Swimming. 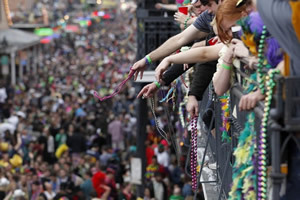 The world famous "Mardi Gras" is celebrated in New Orleans. Mardi Gras is an ancient custom that originated in southern Europe. It celebrates food and fun just before the 40 days of Lent: a Catholic time of prayer and sacrifice. Mardi Gras, aka Fat Tuesday in English, refers to events of the Carnival celebrations, beginning on or after the Epiphany or Kings day and culminating on the day before Ash Wednesday. Mardi Gras is French for "Fat Tuesday," reflecting the practice of the last night of eating richer, fatty foods before the ritual fasting of the Lenten season. Related popular practices are associated with celebrations before the fasting and religious obligations associated with the penitential season of Lent. The date of Fat Tuesday coincides with that of celebrations of Shrove Tuesday, from the word shrive, meaning "confess." 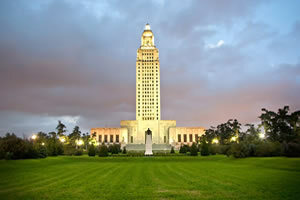 Louisiana has the tallest state capitol building in the United States; the building is 450 feet tall with 34 floors. There are many architectural points of interest in Baton Rouge, ranging from antebellum to modern. The neo-gothic Old Louisiana State Capitol was built in the 1890s as the first state house in Baton Rouge and was later replaced by the 450 feet (137 m) tall, art-deco New Louisiana State Capitol which was the tallest building in the South when it was completed. Louisiana is the only state in the union that does not have counties. Its political subdivisions are called parishes. The U.S. state of Louisiana is divided into 64 parishes (French: paroisses) in the same way that 48 of the other states of the United States are divided into counties. Alaska is the other exception, which is divided into boroughs and census areas instead. Louisiana is the only state with a large population of Cajuns, descendants of the Acadians who were driven out of Canada in the 1700s because they wouldn't pledge allegiance to the King of England. Cajuns; French: les Cadiens or les Acadiens,are an ethnic group mainly living in the U.S. state of Louisiana, consisting of the descendants of Acadian exiles (French-speakers from Acadia in what are now the Maritimes). Today, the Cajuns make up a significant portion of south Louisiana's population, and have exerted an enormous impact on the state's culture. Metairie is home to the longest bridge over water in the US, the Lake Pontchartrain Causeway. The causeway connects Metairie with St. Tammany Parish on the North Shore. The causeway is 24 miles long. The Lake Pontchartrain Causeway, sometimes only the Causeway, is a causeway (technically a viaduct) composed of two parallel bridges crossing Lake Pontchartrain in southern Louisiana. The longer of the two bridges is 23.83 miles (38.35 km) long. The southern terminus of the Causeway is in Metairie, a suburb of New Orleans. The northern terminus is at Mandeville. Since 1969, it was listed by Guinness World Records as the longest bridge over water in the world - in 2011 in response to the opening of the allegedly longer Jiaozhou Bay Bridge in China, Guinness created two categories for bridges over water: continuous and aggregate lengths over water. 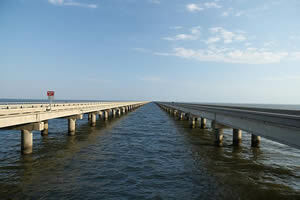 Lake Pontchartrain Causeway then became the longest bridge over water (continuous) while Jiaozhou Bay Bridge the longest bridge over water (aggregate). The bridges are supported by 9,500 concrete pilings. The two bridges feature bascule spans over the navigation channel 8 miles (13 km) south of the north shore. 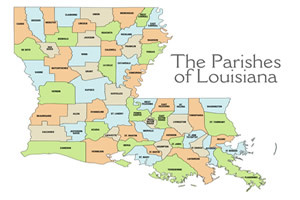 Louisiana is the only state that still refers to the Napoleonic Code in its state law. Louisiana's civil law system is what the majority of nations in the world use, especially in Europe and its former colonies, excluding those that derive from the British Empire. However, it is incorrect to equate the Louisiana Civil Code with the Napoleonic Code. Although the Napoleonic Code and Louisiana law draw from common legal roots, it was never in force in Louisiana, as it was enacted in 1804, after the Louisiana Purchase of 1803. Since 1835 the New Orleans & Carrolliton Line is the oldest street railway line still in operation. 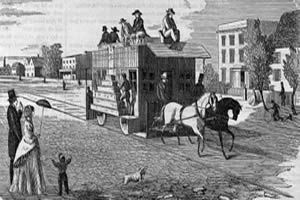 September 1835 (steam locomotives and horsecars) February 1893 (electric streetcars/trams) Streetcars in New Orleans have been an integral part of the city's public transportation network since the first half of the 19th century. The longest of New Orleans' streetcar lines, the St. Charles Avenue Streetcar, is the oldest continuously operating street railway system in the world. Today, the streetcars are operated by the New Orleans Regional Transit Authority (RTA). There are currently four operating streetcar lines in New Orleans: The St. Charles Avenue Line, the Riverfront Line, the Canal Street Line, and the Loyola Avenue Line. The St. Charles Avenue Line is the only line that has operated continuously throughout New Orleans' streetcar history (though service was interrupted after Hurricane Katrina in August 2005 and resumed only in part in December 2006, as noted below). All other lines were replaced by bus service in the period from the late 1940s to the early 1960s; preservationists were unable to save the streetcars on Canal Street, but were able to convince the city government to protect the St. Charles Avenue Line by granting it historic landmark status. In the later 20th century, trends began to favor rail transit again. A short Riverfront Line started service in 1988, and service returned to Canal Street in 2004, 40 years after it had been shut down. Saint Martin Parish is home to the world's largest freshwater river basin, the Atchafalaya Basin; the basin provides nearly every type of outdoor recreational activity imaginable. 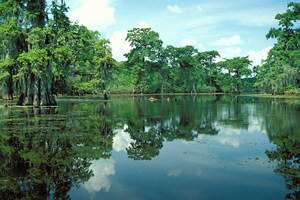 The Atchafalaya Basin, aka Atchafalaya Swamp, is the largest wetland and swamp in the US. Located in south central Louisiana, it is a combination of wetlands and river delta area where the Atchafalaya River and the Gulf of Mexico converge. The river stretches from near Simmesport in the north through parts of eight parishes to the Morgan City area in the south. The Atchafalaya is unique among Louisiana basins because it has a growing delta system (see illustration) with nearly stable wetlands. The basin contains about 70% forest habitat and about 30% marsh and open water. It contains the largest contiguous block of forested wetlands remaining (about 35%) in the lower Mississippi River valley and the largest block of floodplain forest in the US. 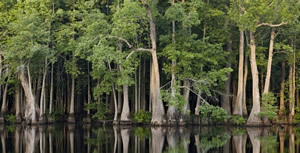 Best known for its iconic cypress-tupelo swamps, at106,000 hectares (260,000 acres), this block of forest represents the largest remaining contiguous tract of coastal cypress in the US. 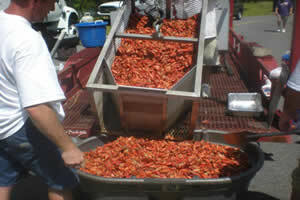 Breaux Bridge is known as the "Crawfish Capital of the World". 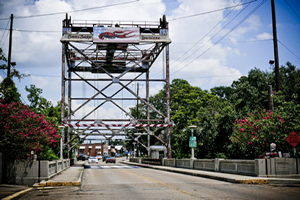 Breaux Bridge (French: le Pont-Breaux) a small city in St. Martin Parish, Louisiana. The population is 8,139 as of the 2010 census. It is part of the Lafayette Metropolitan Statistical Area. This community is called the "Crawfish Capital of the World", a designation obtained by former Speaker of the Louisiana House of Representatives Robert J. "Bob" Angelle. 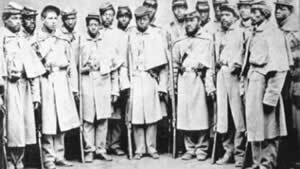 The first American army to have African American officers was the confederate Louisiana Native Guards. The Corps d'Afrique at Port Hudson was sworn into service on September 27, 1862. The Corps d'Afrique was formed in New Orleans after the city was taken and occupied by Union forces. It was formed in part from the Louisiana Native Guards. The Native Guards were former militia units raised in New Orleans. They were property-owning free people of color (gens du couleur libres). Free mixed-race people had developed as a third class in New Orleans since the colonial years. Although the men had wanted to prove their bravery and loyalty to the Confederacy like other Southern property owners, the Confederates did not allow these men to serve and confiscated their arms. The Confederates said that enlisting black soldiers would hurt agriculture. Since the units were composed of freeborn creoles and black freemen, it was clear that the underlying objection was to having black men serve at all. For later units of the Corps d'Afrique, the Union recruited freedmen from the refugee camps. Liberated from nearby plantations, they and their families had no means to earn a living and no place to go. Local commanders, starved for replacements, started equipping volunteer units with cast-off uniforms and obsolete or captured firearms. The men were treated and paid as auxiliaries, performing guard or picket duties to free up white soldiers for maneuver units. In exchange their families were fed, clothed and housed for free at the Army camps; often schools were set up for them and their children. Baton Rouge's flag is a field of crimson representing the great Indian nations that once inhabited the area. 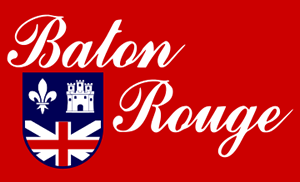 The flag of Baton Rouge is the city flag of Baton Rouge, capital city of Louisiana. It has a field of crimson representing the great Indian Nations that once inhabited the area. Their red-colored poles erected along the Mississippi River in the area gave the city its name. The crest on the lower left uses the red, white and blue, representing the colors of the United States. The upper left of the shield is the fleur-de-lis of France, the upper right is the Castile of Spain, and the lower portion is the pre-1801 Union Flag of the Kingdom of Great Britain. The coat of arms encompasses the emblems of the three European countries whose flags have flown over Baton Rouge. The name "Baton Rouge" in white appears prominently on the field of crimson. Between October 12, 1861, and May 18, 1864, 26 major Civil War battles and engagements were fought on Louisiana soil. Battles in Louisiana tended to be concentrated along the major waterways, like the Red River Campaign. Battles in Louisiana include: Battle of the Head of Passes, Battle of Baton Rouge, Battle of Bayou Bourbeux (aka Grand Coteau), Battle of Blair's Landing, Battle of Calcasieu Pass, Battle of Donaldsonville I, Battle of Donaldsonville II, Battle of Fort Bisland, Battle of Fort De Russy, Battle of Forts Jackson and St. Philip, Battle of Georgia Landing, Battle of Goodrich's Landing, Battle of Irish Bend, Battle of Kock's Plantation, Battle of LaFourche Crossing, Battle of Mansfield (aka Sabine Cross-Roads), Battle of Mansura, Battle of Milliken's Bend, Battle of Monett's Ferry, Capture of New Orleans, Battle of Plains Store, Battle of Pleasant Hill, Siege of Port Hudson, Battle of Stirling's Plantation, Battle of Vermillion Bayou, Battle of Yellow Bayou, and Battle of Henderson's Hill. Click on the Civil War map to learn more. Napoleon sold the territory to the United States in the Louisiana Purchase in 1803. Thereafter, the city grew rapidly with influxes of Americans, French, Creoles, and Africans. Later immigrants were Irish, Germans and Italians. The lands acquired stretched from the Mississippi River to the Rocky Mountains and from the Gulf of Mexico to the Canadian border. 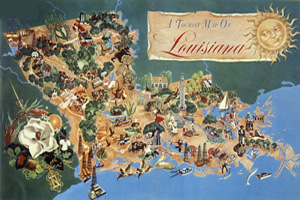 Thirteen states were carved from the Louisiana Territory. 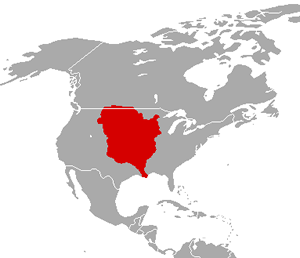 The Louisiana Purchase nearly doubled the size of the United States. On April 11, 1803, French Foreign Minister Talleyrand surprised Livingston by asking how much the United States was prepared to pay for the entirety of Louisiana, not just New Orleans and the surrounding area (as Livingston's instructions covered). Monroe agreed with Livingston that Napoleon might withdraw this offer at any time (leaving them with no ability to obtain the desired New Orleans area), and that approval from President Jefferson might take months, so Livingston and Monroe decided to open negotiations immediately. By April 30, they closed a deal for the purchase of the entire Louisiana territory of 828,000 square miles (2,100,000 km2) for 60 million Francs (approximately $15 million). Part of this sum, $3.5 million, was used to forgive debts owed by France to the United States. Bayou is a French name for slow-moving stream or river. Bayou is a Franco-English term for a body of water typically found in flat, low-lying area, and can refer either to an extremely slow-moving stream or river (often with a poorly defined shoreline), or to a marshy lake or wetland. The name "bayou" can also refer to a creek whose current reverses daily due to tides and which contains brackish water highly conducive to fish life and plankton. The word was first used by the English in Louisiana and is thought to originate from the Choctaw word "bayuk", which means "small stream". Louisiana's first territorial governor, William C.C. Claiborne had great admiration for the awkward bird that inhabited the Gulf Coast region. The pelican, rather than let its young starve, would tear at its own flesh to feed them. The Governor's great respect for the Pelican led him to first use the Pelican symbol on official documents. The flag of Louisiana consists of a heraldic charge called a "pelican in her piety," representing a mother pelican wounding her breast to feed her young from the blood. The mother pelican's head and outspread wings covering the three pelican chicks nested below her form a stylized fleur-de-lis, another emblem of similar significance often depicted in Louisiana. This symbol, emblematic of Christian charity (and Catholicism), is also found on the state seal. On the flag it is depicted above a ribbon with the state motto: "Union, Justice, and Confidence". The current flag was adopted in 2006, revising the original pelican design of 1912. During the 19th century it was traditional in Louisiana flags and the state seal for the "pelican in her piety" to have three drops of blood on her chest. However, in later years the tradition (on both the state flag and seal) had been haphazardly followed, which was noticed by an eighth-grader at Vandebilt Catholic High School in Houma who brought this to the attention of his state legislator. The issue was resolved in April 2006, when the Louisiana State Legislature passed a bill, which requires three drops of blood to be depicted on the pelican used in both the state's flag and seal. The Catahoula Leopard Dog, often called the Catahoula Hound, is the official state dog. The Catahoula Cur is an American dog breed named after Catahoula Parish, in the state of Louisiana, in the US. 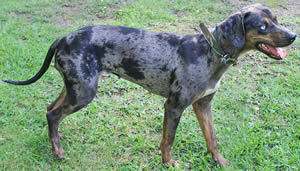 After becoming the state dog of Louisiana in 1979, its name was officially changed to Louisiana Catahoula Leopard Dog. The Catahoula is believed to be the first dog breed developed in North America. The breed is sometimes referred to as the Catahoula Hound or Catahoula Leopard Hound, although it is not a true hound, but a cur. It is also called the Catahoula Hog Dog, reflecting its traditional use in hunting wild boar. The City of Sulphur is the 13th largest city in Louisiana and is named for the chemical and mining industry that helped to establish Calcasieu Parish in the late 1800's. Sulphur is named for the sulfur mines, which were excavated in the area in the 1900s. In this area, the German immigrant Herman Frasch invented the "Frasch method" of mining sulfur, pumping hot steam into the ground, liquidizing the mineral, and pumping the liquid to the surface. This greatly facilitated sulfur mining. The town of Jean Lafitte was once a hideaway for pirates. Jean Lafitte is a town on Bayou Barataria in Jefferson Parish, Louisiana. 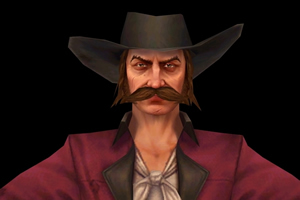 It is named after Jean Lafitte (1776 – 1823), who was a French pirate and privateer in the Gulf of Mexico in the early 19th century. He and his elder brother, Pierre, spelled their last name Laffite, but English-language documents of the time used "Lafitte". The latter has become the common spelling in the US, including for places named for him. Lafitte is believed to have been born either in France or the French colony of Saint-Domingue. By 1805, he operated a warehouse in New Orleans to help disperse the goods smuggled by his brother Pierre Lafitte. After the United States government passed the Embargo Act of 1807, the Lafittes moved their operations to an island in Barataria Bay, Louisiana. By 1810, their new port was very successful; the Lafittes pursued a successful smuggling operation and also started to engage in piracy. The City of Ponchatoula is the oldest incorporated city in Tangipahoa Parish. Ponchatoula derives its name from the Choctaw Indian language meaning "hair to hang" because of the abundance of Spanish moss on the trees surrounding the area. 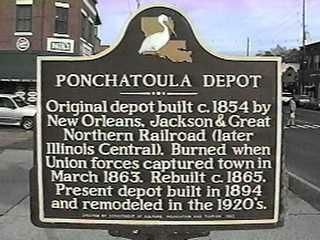 Ponchatoula was established as a logging camp in 1820, and incorporated as a town on February 12, 1861. William Akers was the city's first mayor, and is credited with founding the town, establishing it on land he purchased from the federal government in 1832. 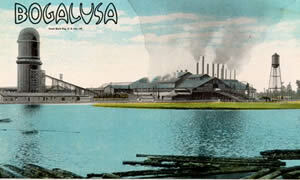 At the turn of the 20th century Ponchatoula changed its main export from lumber to commercial farming. Nearly every family farmed in some form. The main produce was the strawberry of which the town grew so much it earned the nickname "The Strawberry Capital" or "Strawberry Capital of The World". Ponchatoula is a name signifying "falling hair" or "hanging hair" or "flowing hair" from the Choctaw Pashi "hair" and itula or itola "to fall" or "to hang" or "flowing". The Indian name Ponchatoula means "flowing hair", arrived at by the Indians as a way of expressing the beauty of the location, with much moss hanging from the trees. "Ponche" is an Indian word meaning location, object, or person. The name is eponymous with the Ponchatoula Creek, which flows from points north of the city and into the Natalbany River southwest of the city. 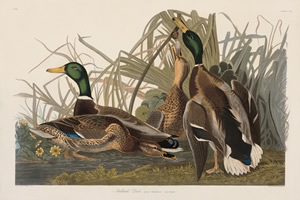 Gueydan is known as the "Duck Capital of America" in recognition of its abundance of waterfowl. The town is the site of the annual Duck Festival,which is held the weekend before Labor Day, and is officially recognized as the Duck Capital of America. The Louisiana state championships for duck and goose calling are held in conjunction with the festival. Fort Polk was established in 1941 and named in honor of the Right Reverend Leonidas Polk, the first Episcopal Bishop of the Diocese of Louisiana. 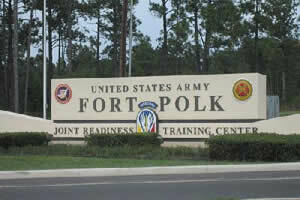 On March 12, 1993, Fort Polk officially became the home of the Joint Readiness Training Center. It was named in honor of the Right Reverend Leonidas Polk, the first Episcopal Bishop of the Diocese of Louisiana, and a distinguished Confederate general in the American Civil War. The post encompasses approximately 198,000 acres. Of this, 100,000 acres are owned by the Department of the Army and 98,125 acres by the U.S. Forest Service, mostly in the Kisatchie National Forest. Fort Polk is the only Combat Training Center that also trains and deploys combat units. Construction of Camp Polk began in 1941. Thousands of wooden barracks sprang up quickly to support an Army preparing to do battle on the North African, European and Pacific fronts. Soldiers at Polk participated in the Louisiana Maneuvers, which were designed to test U.S. troops preparing for World War II. The Magnolia is the state flower. Magnolia grandiflora is the official state flower of both Mississippi and Louisiana. The flower's abundance in Mississippi is reflected in its nickname of "Magnolia State". The magnolia is also the official state tree of Mississippi. Historically, magnolias have been associated with the Southern United States. The Bald Cypress is the state tree. 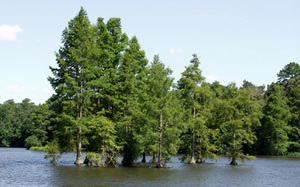 The bald cypress was designated the official state tree of Louisiana in 1963. It is considered by some to be a symbol of the southern swamps. The state mammal is the Louisiana Black Bear. 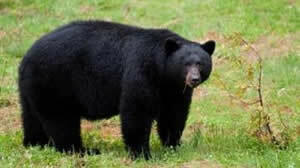 The Louisiana black bear was designated the Official State Animal in 1992. The Louisiana black bear once ranged throughout the State of Louisiana and parts of adjacent neighboring Mississippi, Arkansas, and Texas. The black bear was common at the time of early colonization, serving as food both for Native Americans for generations. An 1890 record shows 17 parishes containing bears, all of them by the Mississippi-border and the Atchafalaya region. All black bears in Louisiana are protected under the Endangered Species Act. The Louisiana black bear was listed by the U.S. Fish and Wildlife Service as a threatened species in 1992. Since that time, restoration and conservation efforts of the Louisiana Department of Wildlife and Fisheries, U.S. Fish and Wildlife Service, Black Bear Conservation Coalition and many private landowners have led to increasing numbers of Louisiana black bears. It is a goal of the LDWF to remove the Louisiana black bear from the list of threatened species and add it to the list of conservation successes along with the brown pelican, bald eagle and American alligator. The state amphibian is the Green Tree Frog. 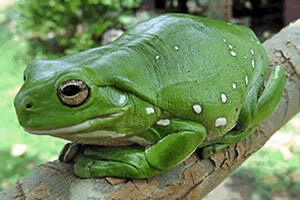 The American Green Tree Frog was designated the Official State Amphibian of Louisiana in 1993. The state reptile is the Alligator. 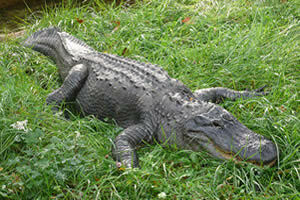 The American alligator is the Official State Reptile of Louisiana. Perhaps the most iconic of Louisiana Wetlands' animals, the American alligator has bounced back from near extinction to being relatively commonplace. 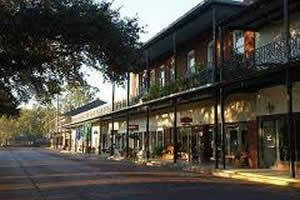 The oldest town in Louisiana is Natchitoches which was established in 1714. 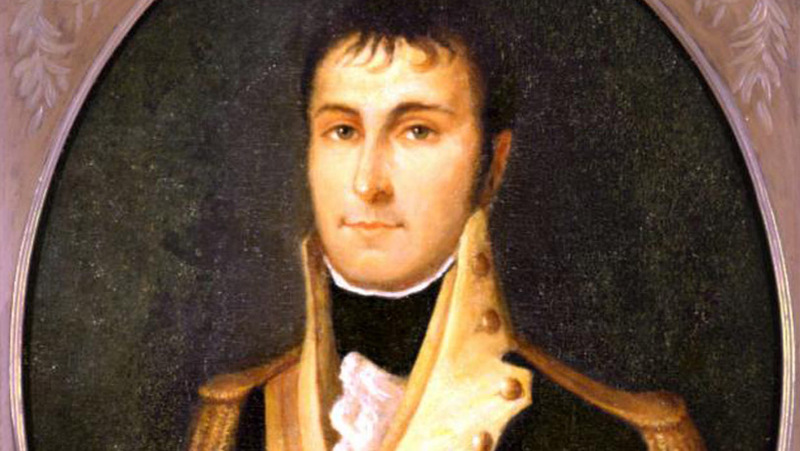 Natchitoches was established in 1714 by Louis Juchereau de St. Denis. It is the oldest permanent settlement within the borders of the 1803 Louisiana Purchase. Natchitoches was founded as a French outpost on the Red River for trade with Spanish-controlled Mexico; French traders settled there as early as 1699. The post was established near a village of Natchitoches Indians, after whom the city was named. After the United States' Louisiana Purchase of 1803, migration into the territory increased, and Natchitoches experienced a population boom. Several plantations were built along the Red River. However, the course of the river shifted, bypassing Natchitoches and cutting off its lucrative connection with the Mississippi River. A 33-mile lake was left in the river's previous location. The first opera performed in America was in 1796 in New Orleans. 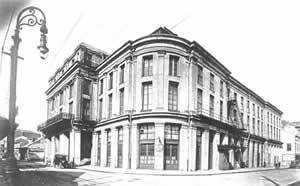 On May 22, 1796, while George Washington was still president and New Orleans was still under Spanish rule, the first documented opera performance was staged here in New Orleans. Since that performance of Ernest Grétry's Sylvain, operas have been staged almost continuously in New Orleans for the past two centuries. 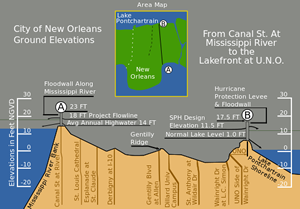 The lowest elevation is New Orleans at seven feet below sea level. A study by Tulane and Xavier University notes that 51% of New Orleans is at or above sea level, with the more densely populated areas generally on higher ground. The average elevation of the city is currently between one and two feet below sea level, with some portions of the city as high as 20 feet at the base of the river levee in Uptown and others as low as 7 feet below sea level in the farthest reaches of Eastern New Orleans. Click the image to see a larger size. Click here if you know a fact about Louisiana. The facts listed above on the left were provided from different sources. The information on the right detailis and provides support to the probable facts. Most of the information detaled on the right is provided by Wikipedia.